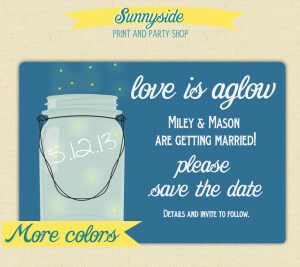 It’s no secret that I absolutely adore mason jars. 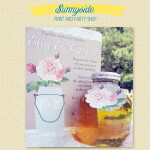 I use them for drinking glasses, for vases, for storing my dry baking ingredients and planting herbs. 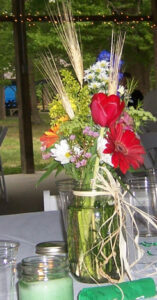 They were the centerpieces at my wedding reception, filled with wheat and wildflowers and accented with half-pint candles. 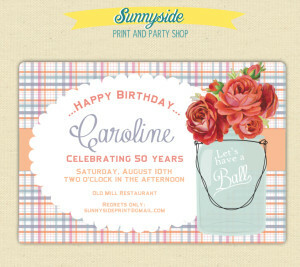 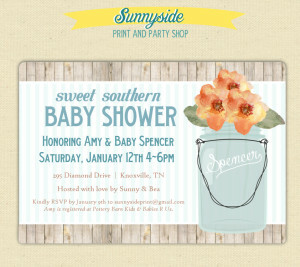 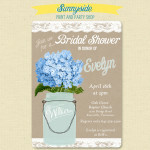 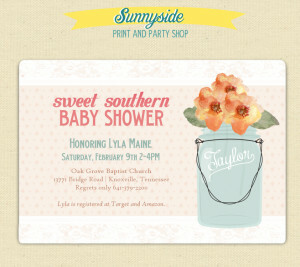 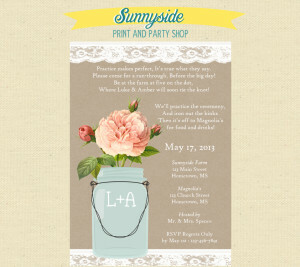 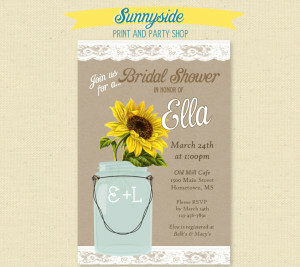 So maybe I went a little overboard with my mason jar invite designs in the Sunnyside Print & Party Shop. 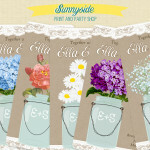 I love each and every one of them though. 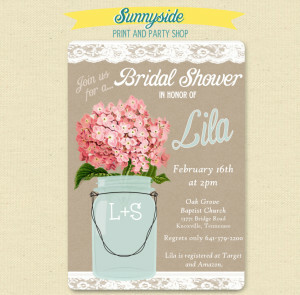 These lace mason jar invites started out with a watercolor flower available in lots of colors, and now include a variety of flower choices including pink or blue hydrangeas, sunflowers, lilacs, vintage roses and more. 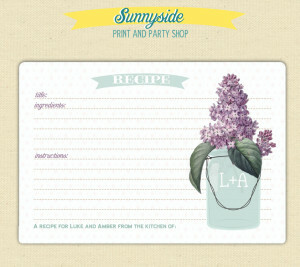 And finally, recipe cards and thank you notes with mason jars are also available in the shop!